After more than 60 years as an attorney and public servant, Howard H. Baker Jr. is remembered as a leader and a bridge-builder. "The Senate commends its former colleague - for a lifetime of distinguished service to the country and confers upon him the thanks of a grateful Nation." After more than 60 years as an attorney and public servant, Howard H. Baker Jr. is remembered as a leader and a bridge-builder. Known as "The Great Conciliator," he left an indelible mark during a distinguished career that included service as a senator, presidential advisor and ambassador. He began his law practice in 1949, working at the law firm founded in Huntsville, Tennessee, in 1888 by his grandfather James Baker. He practiced law for 15 years before turning to politics. His public service career began in 1966, when he became the first Republican popularly elected to the U.S. Senate from Tennessee. During his 18 years in the Senate, Senator Baker became known as "The Great Conciliator" for his ability to broker compromises across party lines. He gained national recognition in 1973 as vice chairman of the Senate Watergate Committee. Three years later, he was keynote speaker at the Republican National Convention, and was a 1980 candidate for the Republican presidential nomination. He concluded his Senate career in 1985 after two terms as majority leader (1981 to 1985) and two terms as minority leader (1977 to 1981). A delegate to the United Nations in 1976, Senator Baker had extensive foreign policy experience. He served on the President's Foreign Intelligence Board from 1985 to 1987 and from 1988 to 1990, and was a member of the Council on Foreign Relations and the Washington Institute of Foreign Affairs. He served on the board of the Forum of International Policy and was an International Counselor for the Center for Strategic and International Studies. Senator Baker was again called to public service in February 1987, when President Ronald Reagan named him his Chief of Staff. Senator Baker served as President Reagan's advisor and Chief of Staff until July 1988. The Clinton administration also sought his counsel, first in June 2000, when Secretary of Energy Bill Richardson appointed Senator Baker to serve as co-leader of an independent panel to study security problems at Los Alamos National Laboratory after the loss of computer hard drives containing nuclear secrets. Later that same year, Secretary Richardson also asked Senator Baker to co-chair a bipartisan task force to review and assess the Department of Energy’s nonproliferation programs in Russia and make recommendations for their improvement, resulting in what is commonly known as the Baker-Cutler Report. Another milestone in his career came in 2001, when President George W. Bush appointed Senator Baker the 26th U.S. Ambassador to Japan, a role in which he served until 2005. In recognition of his service to Japan during his ambassadorship, in 2008 the Emperor of Japan bestowed upon the senior statesman the Grand Cordon of the Order of the Paulownia Flowers, the country's highest honor for civilians. Upon completing his service as U.S. Ambassador to Japan, in February 2005 Senator Baker returned to Baker, Donelson, Bearman, Caldwell & Berkowitz, PC, the law firm his grandfather founded and where he formerly practiced with his father, the late U.S. Rep. Howard H. Baker. Senator Baker served as senior counsel to the Firm, focusing his practice on public policy and international matters, until his passing on June 26, 2014. Among the many awards earned by Senator Baker during his remarkable public service career were the 1984 Presidential Medal of Freedom, the nation's highest civilian award, and the Jefferson Award for Greatest Public Service Performed by an Elected or Appointed Official, which he received in 1982. In 2008, he was recognized by American Lawyer magazine with a Lifetime Achievement Award and was named a recipient of the United States Capitol Historical Society Freedom Award. 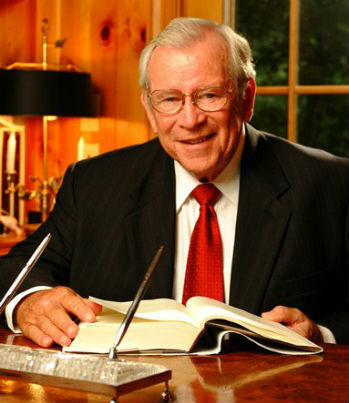 Senator Baker served on numerous boards, including the Maureen and Mike Mansfield Foundation and the Museum of Appalachia Foundation, and he twice served as chairman of the board of the Mayo Clinic Foundation. He was co-founder of the Bipartisan Policy Center, a non-profit organization and bipartisan forum focused on addressing tough political, social, economic and security challenges through rigorous analysis, reasoned negotiation and respectful dialogue. An accomplished photographer, Senator Baker received the American Society of Photographers' International Award in 1993 and was elected into the Photo Marketing Association's Hall of Fame in 1994. In addition to his legal and public service career, Senator Baker was also the author of four books: No Margin for Error (1980); Howard Baker's Washington (1982); Big South Fork Country (1993) and Scott's Gulf (2000). He received honorary degrees from such institutions as Yale University, Dartmouth College, Georgetown University, Bradley University, Pepperdine University and Centre College.